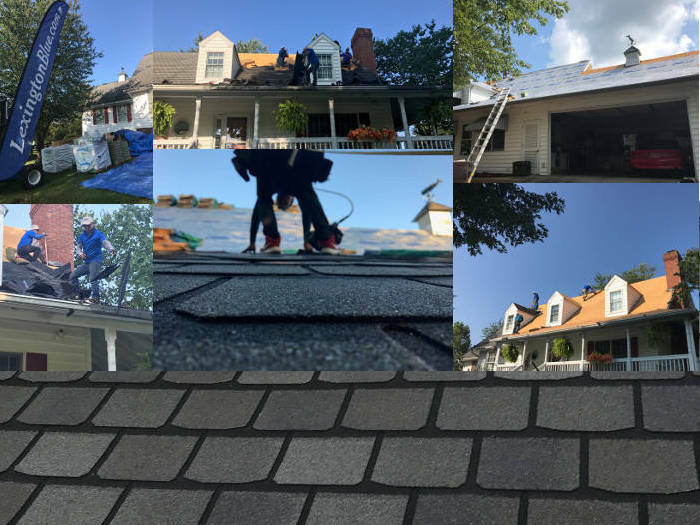 If you viewed some of our previous roofing projects, you’ll notice we’ve performed the majority of them by installing Owens Corning shingles. 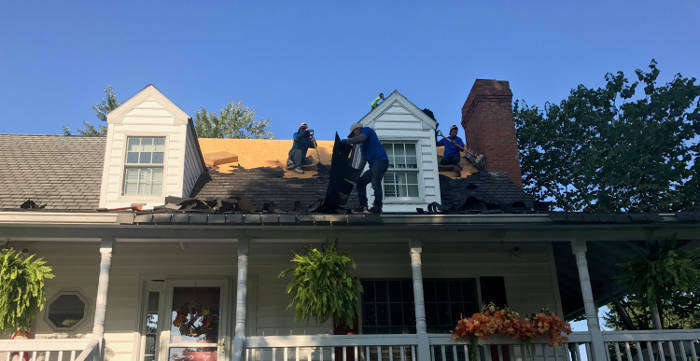 However, in this project, we were hired to perform a full roof replacement in Harrodsburg, KY where the homeowner chose to have CertainTeed shingles installed on their home. As a result, we were able to offer them additional benefits due to our certifications for this brand. At daybreak, our crew arrived on-site to set up for the project. Our first steps were to organize the site for production, which allowed us to manage the workflow efficiently. 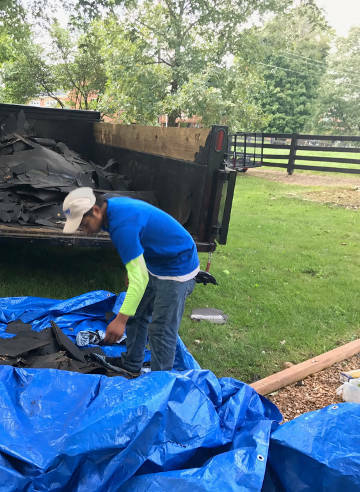 One of the first precautionary measures we implemented was to protect the yard and landscaping from being cluttered with debris. 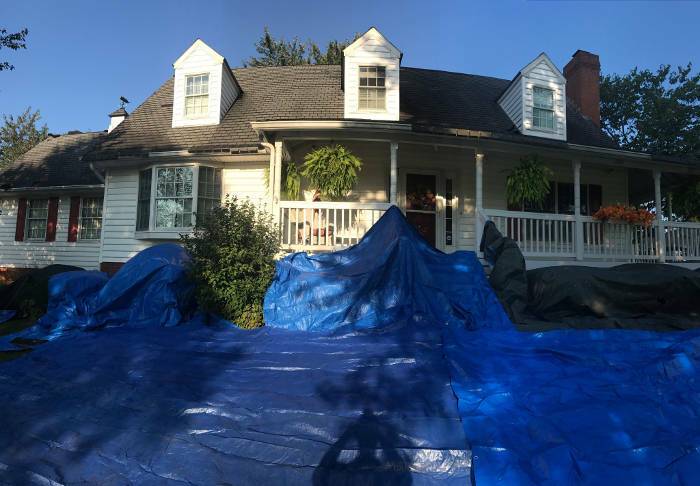 We typically utilize tarps to ensure that all is covered and protected. 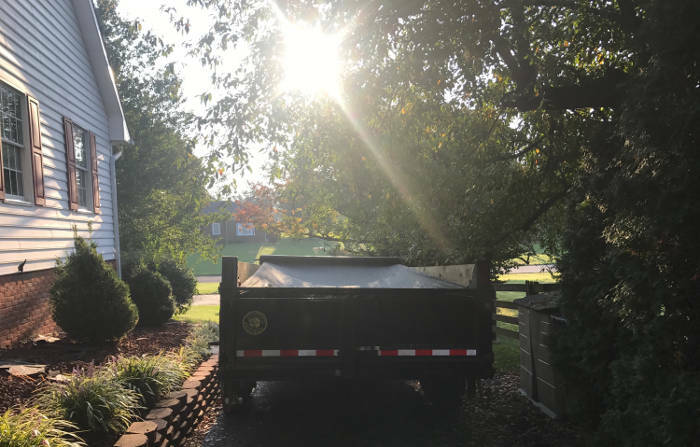 We also set up our dump trailer on-site to haul away discarded materials. Once everything was prepped for our operation, we began the tear off process. 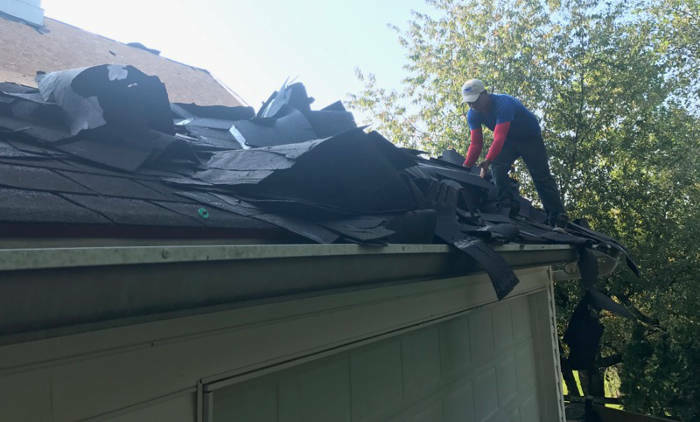 We made sure to completely remove all pre-existing roofing materials. 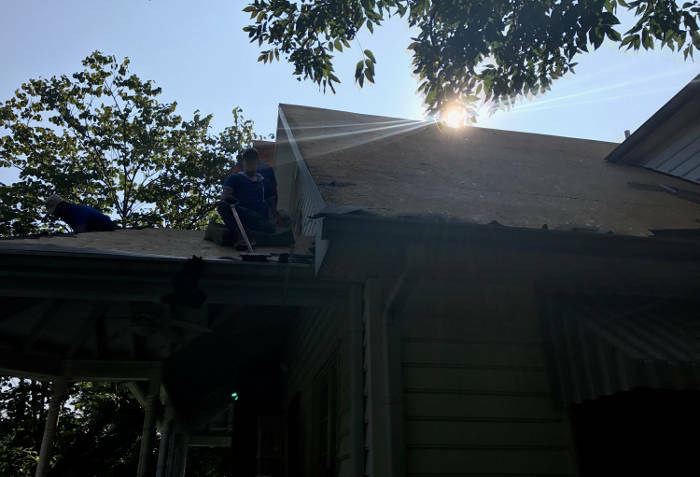 This allowed us to fully investigate the condition of the roof’s wood decking as well as to ensure 100% of the warranty would be honored for the homeowner. Our crew worked very efficiently and the tear off was completed within 2 hours. As always, we followed our “clean up as you go” process so we could maintain a respectful environment for the homeowner. 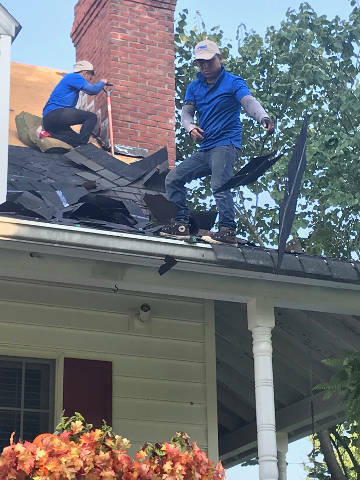 Unfortunately, in the roofing industry, not all contractors will perform a thorough tear off. 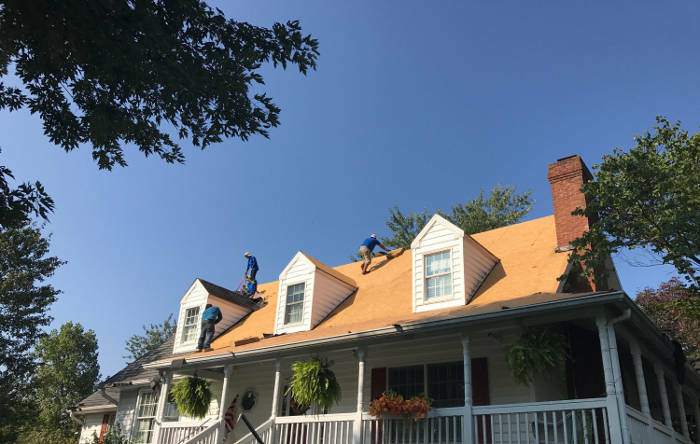 They will often skip the tedious details such as making sure to completely remove 100% of the roof’s pre-existing materials. We made sure to not leave any prior surface materials in tact. Starting with a clean slate ensures all materials perform as intended as well as it’s often a requirement for full warranty coverage by the single manufacturer. 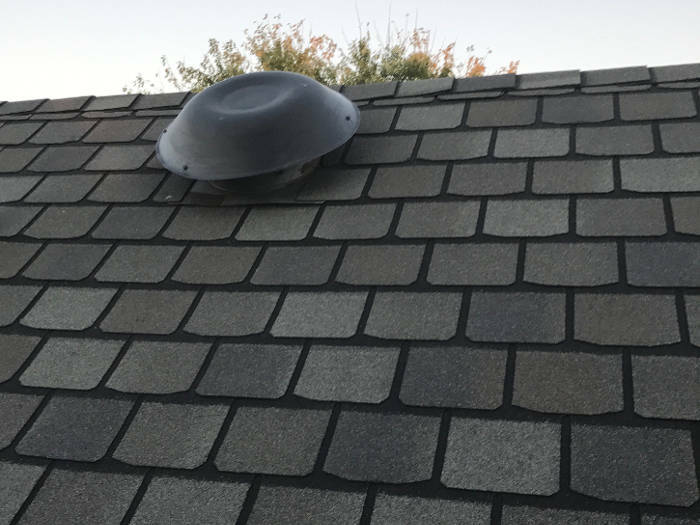 This is what you should expect to see as a result of the tear off during a proper roof replacement. Once we had a clean slate to work from and all the decking had been inspected, we started laying the foundation with our synthetic underlayment. This material is designed to add an additional layer of protection by preventing water penetration. 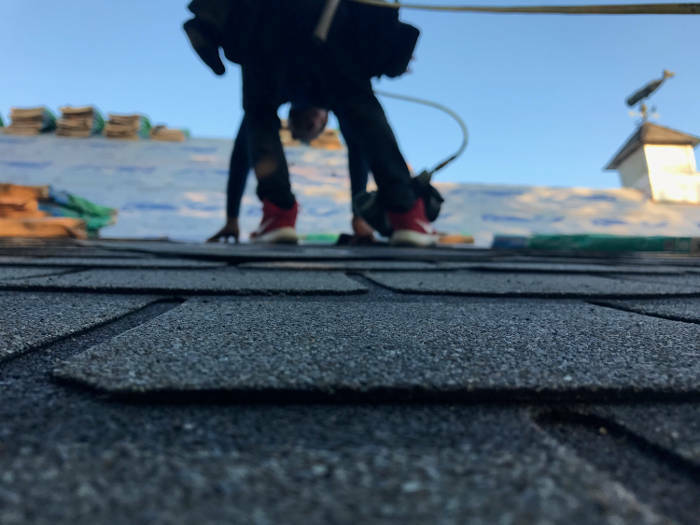 If you’ve ever heard of roofing felt, the synthetic underlayment is a higher grade of this material that provides a more superior form of protection and durability. 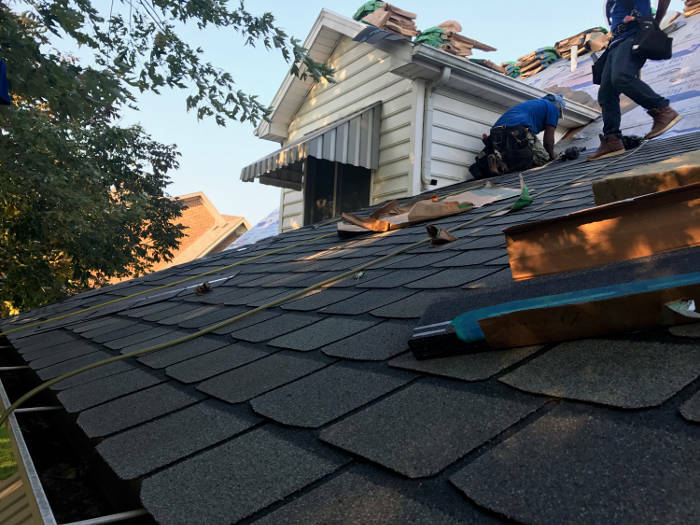 Once all the initial materials and components were installed, we started installing the new CertainTeed shingles. 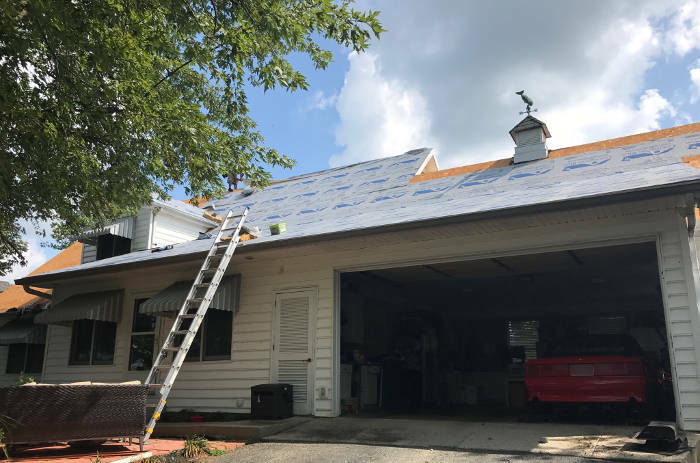 Our crew worked diligently and placed careful consideration on the methods of installation to ensure a quality project. The image above is shadowed by the property’s trees, so the colors may look slightly different. Here’s how the final completed installation looks. 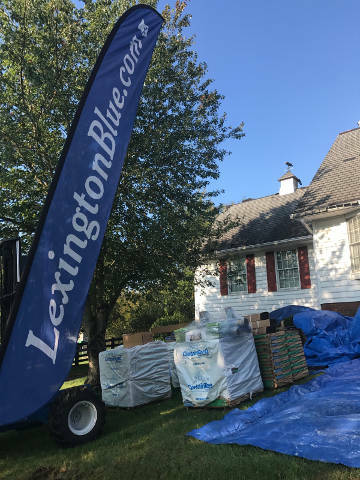 Whether you live in Harrodsburg or another location of central Kentucky, you can trust Lexington Blue to provide a thorough roof replacement, installation or repair that’s backed by a dedication to quality workmanship.